Yesterday was No Email Day, a campaign to encourage people to stop using email for 24 hours for greater productivity and to realize how email has become abused/overused. The organizers would like you to do something more productive with the time saved from no email. This could simply involve other forms of communication like actually talking to someone face to face, picking up the phone or even writing a letter (remember those?) or spending time away from work to reconnect with the offline world. In honor of this day I thought I would shares some rules that can help you reduce the inefficiencies that email can cause. 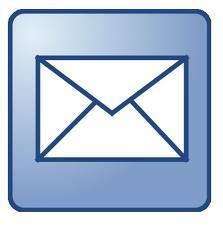 SAVE YOUR INBOX WITH 5S FOR EMAIL.